Don't be dominated by fear. 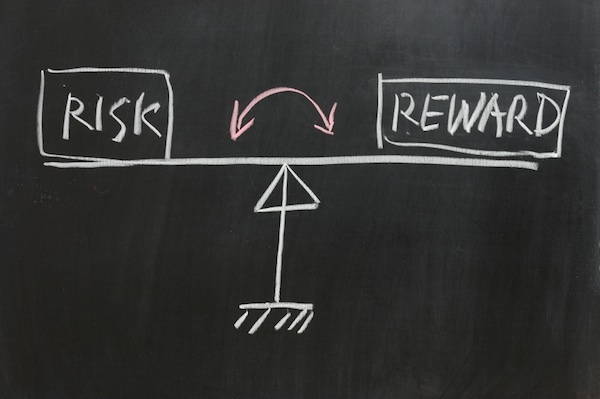 If there are opportunities that come to your life with rewards and no risk, make the more correct decision. If you invested $100 into something that can make you $1000 and with a guarantee of your money back. Isn't that a no brainer? The problem here is that not many think with an investor mentality. Most of us think in a poor scarcity mentality. What does that mean? Poor people think of risks first. They think that $100 is too risky to spend on bettering their lives. Now, that's not true depending on the reward. If the reward = $1000 or a better life...isn't that worth it to you? What if a book, event, or even a program changed your life? Maybe, the benefit is you become more of a happy person and secure. That is a huge reward many seek. It's also a reward that keeps giving because now that you are more secure and happy, you will attract other quality people who are too. Several other doors will open as a result. Maybe find the love of your life. 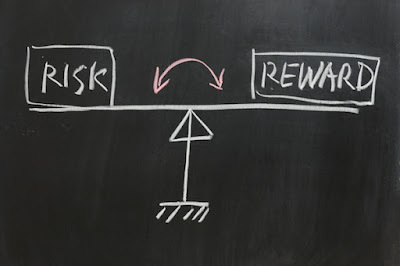 Risks should be calculated through a weighted probability. Questions such as what are the odds? Is there a chance of getting my money back (refund)? What else could I invest my money in? What do I usually spend my money on? Usually people spend on things that rust, rot and depreciate. In other words, no value. If you can get your hands on a sweet deal where you are guaranteed your money back...what does that say about you if you don't jump on that offer? Don't think with a broke mentality. Do yourself a favor and invest in yourself. Contact romario.villanueva1@gmail.com to learn more.